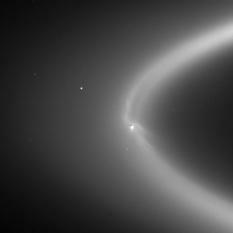 What should arrive in my inbox today but a press release from the Cassini RPWS and magnetometer teams saying, in part, "the little moon Enceladus is weighing down giant Saturn's magnetic field so much that the field is rotating slower than the planet." 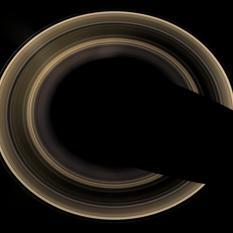 Since late January Cassini has been acquiring several sets of images that show all of Saturn's globe and ring system at once from perspectives well above and below the ring plane. OK, I had planned to confine my posts this week to Rosetta and New Horizons, but I could not let these images sit on my computer until next week. 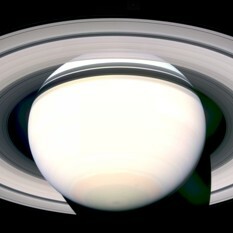 I wrote recently about a set of images of Saturn acquired by Cassini from a unique vantage point, well above the planet, looking down on the rings. Someone has taken up the challenge of assembling the 36 different images into a single mosaic, in color, and it is as lovely as I'd hoped. 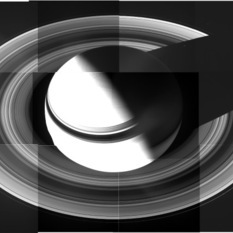 Another recent, cool set of images that came down from Cassini was a series taken last week as the spacecraft crossed the ring plane. 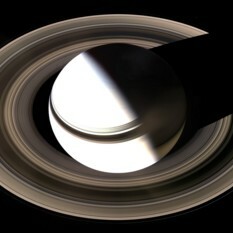 Over the weekend, Cassini acquired a set of images that will (I am assuming) eventually be used to produce a glorious portrait of the ringed planet from a point of view that's never been seen before.